He is the promoter of Lokesh Machines Ltd, with more than 46 years of vast experience in the machine tool industry. He has started his career with KCP Limited in 1965 and after a brief stint joined Hindustan Machine Tools Limited (HMT) in 1966. while working at HMT for almost a decade, Mr. Rao has obtained a methodical understanding and insight of the manufacturing industry. the manufacturing insights supplemented with the entrepreneurial abilities prompted Mr. Rao to start Lokesh Machines Limited. Mr. Rao with his sheer hard work coupled with managerial abilities built up a strong team and established world-class facilities. He was also the past president of Indian Machine Tools Manufacturers Association (IMTMA). He has more than 30 years of vast experience in the areas of manufacturing and machine tool building. His career started in HMT as trainee Engineer and is presently Executive Director of Lokesh Machines Limited. He is the operational head for all the divisions.  He joined in LOKESH in the year 1985 and has worked in the various departments' right from shop floor, designs, planning, production, assembly, Purchase and application engineering and he has also been trained in various countries. He Looks after future plans of the company and at present is heading the Auto Components & Aerospace division. He has been with LOKESH for more than 20 years since completion of his M.S. in Industrial Engineering at New Jersey Institute of Technology, New Jersey, USA. He has under gone training initially in the designs and manufacture of SPMs. He has more than 18 years' experience in the field of Mechanical Engineering and has been with LOKESH since completion of Bachelor of Engineering at Osmania University. He has undergone training initially in the designs and manufacture of General Purpose Machines. He is presently heading the General Purpose Machines (GPM) Division of LOKESH. He has more than 45 years of vast experience in designing and engineering of Machine Tools, Jigs & Fixtures etc. He started his career with HMT during 1964 and after a long stint in all its divisions, became the Chief Engineer in-charge of its design department during 1978 to 1983. Mr. Krishna Swamy, during his stay at HMT had received training under experts in the Design field including Cross Company Inc., USA, the then collaborator of HMT. He has designed a number of machines notable among them being Rotary Indexing Machines, Linear Transfer Machines, Line Boring Machines etc. based on a deep knowledge in designing machines that suit the requirements of customers. Mr. Krishna Swamy has been associated with LOKESH for more than three decades and is presently Technical Director and has contributed significantly to the growth of LOKESH. He has considerable experience in chartered accountancy practice and more than three decades of standing in the Profession. He worked as Partner & Associate of M/s Sastri& Shah, Chartered Accountants, Madras and Hyderabad for a period of 12 years from 1976 to 1988. Presently he is a Senior Partner of M/s. Mahesh, Virender&Sriram, Chartered Accountants, Hyderabad, since 1988. He involved in handling Internal and Statutory Audits of various Public & Private Sector Organizations andrenders Management Consultancy and Systems designing for clients. Other areas of expertise includes Company Law Matters, Public Issues,Various levels of tax representation matters, Tax Audits, Project Finance and Funds Structuring, Arbitration Proceedings and general professional advisory matters, Legal drafting of Documents including Foreign Collaboration Agreements. He has handled a number of foreign assignments and has widely travelled. A Mechanical Engineer and a management graduate from Osmania University, Mr. Mohan Reddy has a wide experience as a business executive, having served several public sector undertakings like BHEL and APIDC in senior managerial positions. He was managing Director of Allwyn Watches Ltd. From 1995 to 1997. 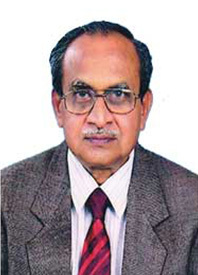 After retirement from APIDC, he has been on the Board of Nelcast Ltd as an independent professional director. He did his masters from University of Texas, Austin in Mechanical engineering. 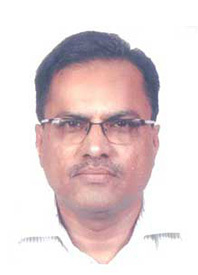 He has more than 20 years of experience in overall execution of projects within cost, time quality and safety parameters along with handling diverse range of techno commercial operations such as tendering, planning, monitoring, operations, finance, etc., Has got experience in various construction sectors like Roads, Railways, Irrigation, Power etc., both as EPC or PPP agency. He joined Lokesh machines in 2016. Copyrights © 2017 Lokesh Machines, All Rights Reserved.